Member KANDA's Solo-Exhibition | Baum! ← Member YAMAICHI’s solo-exhibition has started. 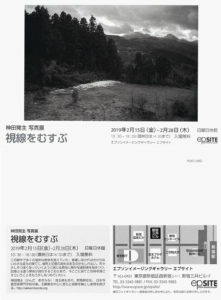 His new exhibition, titled “視線をむすぶ”, will start. At epSITE, in Shinjuku, Tokyo Japan.